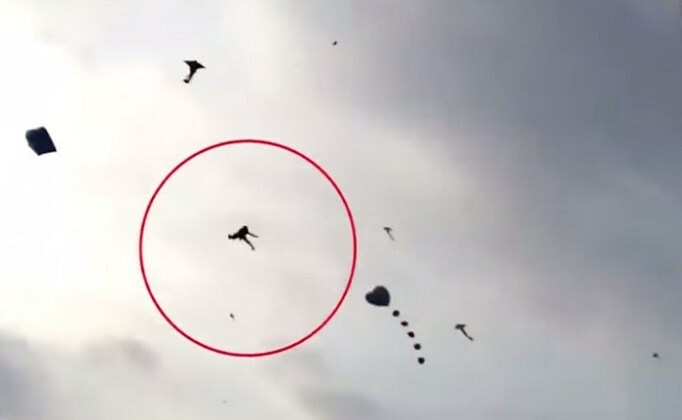 A (supposed to be happy) kite festival practice in Vietnam ended in tragedy when a 5-year-old boy was accidentally tangled in a giant kite string and dragged more than 60ft in the air before falling to his death in Ho Chi Minh City. The victim was identified as Van Minh Dat, who was only at the event to help his mother sell drinks to kite flyers and spectators. The horrific accident was caught on cam, showing the young boy being pulled into the air as helpless onlookers scream in terror. 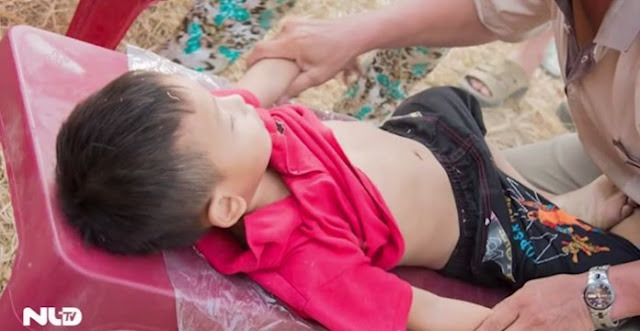 A (supposed to be happy) kite festival practice in Vietnam ended in tragedy when a 5-year-old boy was accidentally tangled in a giant kite string and dragged more than 60ft in the air before falling to his death in Ho Chi Minh City. 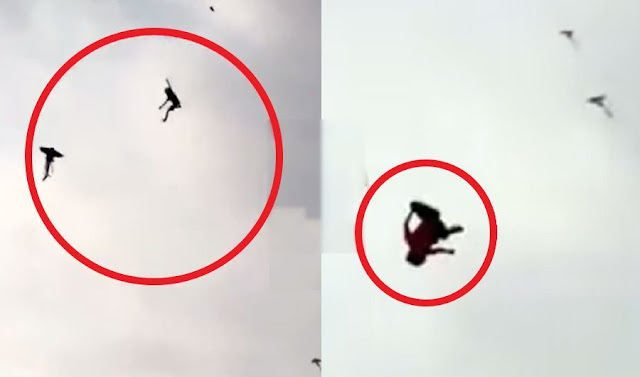 The victim was identified as Van Minh Dat, who was only at the event to help his mother sell drinks to kite flyers and spectators. The horrific accident was caught on cam, showing the young boy being pulled into the air as helpless onlookers scream in terror. 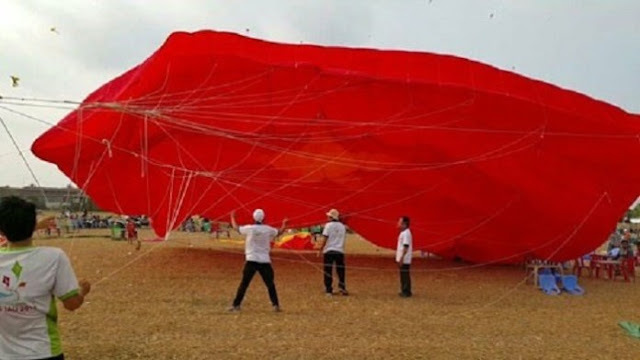 Dat’s Aunt, who witnessed the accident told Thanh Nien News that the giant kite had fallen to the ground several times after the Saigon Kite Club members attempted to launch it in unstable wind condition. In one such fall the kite knocked down a table and some chairs near the drinks stall where Dat’s mother and him were working. Apparently, the little kid run near the kite, trying to help pick up some fallen soft drink bottles, but his leg got caught up in the kite string. 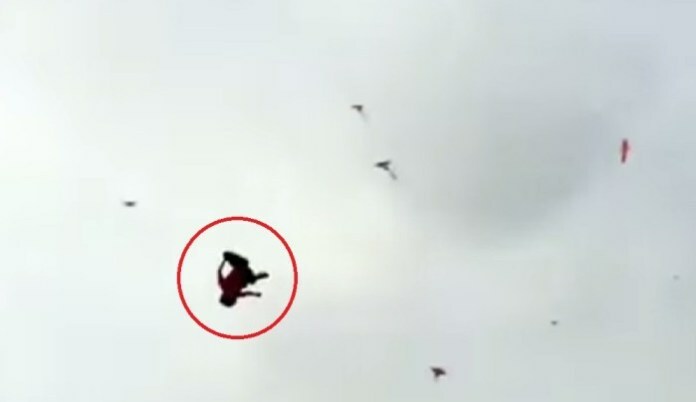 The kite then instantly took off because of the strong winds, dragging the boy up. Members of the Saigon Kite Club attempted to launch this massive kite about 15 meters wide, as they were practicing for an upcoming kite festival in the beach city of Vung Tau. 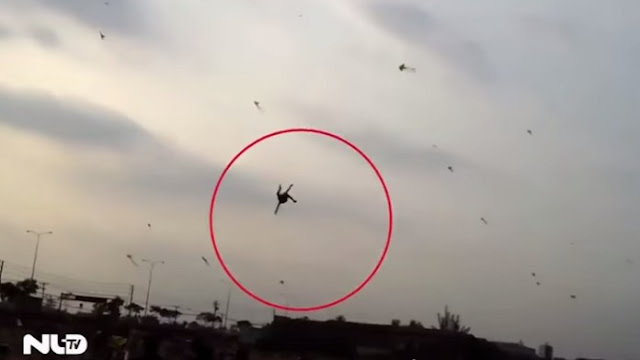 Sadly, the Vietnamese-flag-like kite caught up Dat who was there picking up some of the fallen soft drink bottles, dragging him up about 65ft in the sky. The kite was about 20 meters in the air when the strings snapped. 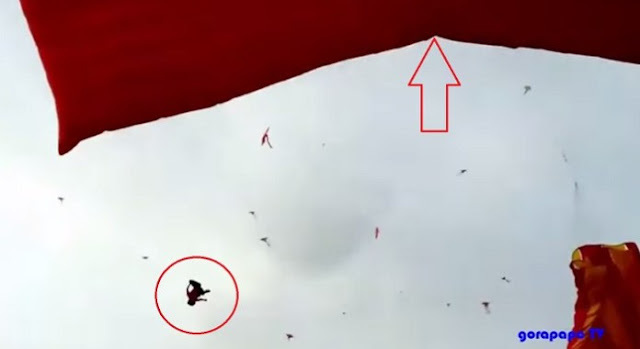 Dat tried to grab another line, but it was too late, and he instantly fell to the ground. According to eyewitnesses who were horrified and can be heard screaming, the entire incident took place in just around 30 seconds. 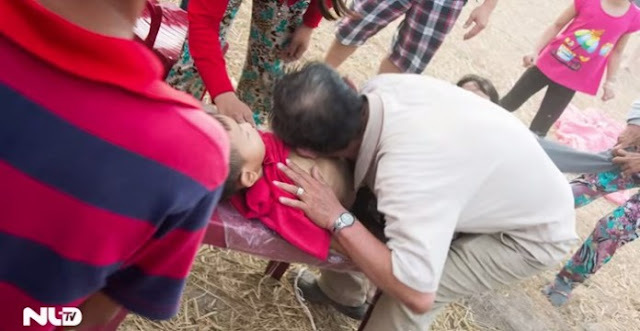 The little boy was rushed to the hospital, but was pronounced dead afterwards. An investigation about the accident is now being carried out by the Vietnamese authorities. This is really saddening, to all parents out there, please pay enough attention to your children because accidents may happen anytime, anywhere.